Whether an organization is putting a new CMMS system into place or has been utilizing a tool for years, training should be a considered a critical component to successful usage. Training is necessary to keep up with new features in the software, enhance the skillsets of employees, and improve efficiency. Training sessions should be held for each person in an organization who will be using a CMMS on a day-to-day basis including technicians, maintenance supervisors, and administrators. At Maintenance Connection we encourage all clients to immerse themselves in regular training of our software on an ongoing basis. We offer various options for clients to grow their knowledge of our CMMS and become better users. These options include Checkpoint, our annual user conference, on-site training, eLearning opportunities, and system audits. We recently put together a training menu for all user types based the most frequent training requests we receive from clients. We firmly believe that ongoing training is imperative to ensuring maximum satisfaction from our CMMS. If our users are not trained properly, the system is not going to work for them properly. 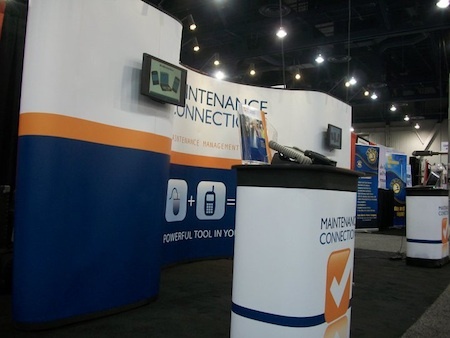 To request further information about training, or to schedule a training session, contact our Customer Experience Team by sending an e-mail to training@maintenanceconnection.com. You can read the entire newsletter here. Maintenance Connection not only allows the administrators and managers access to the asset history, but also mobile users. Having this information immediately available can be critical. Oftentimes, the most important time to have access to the history of an asset is when you are standing in front of it. If you would like more information about accessing Asset History from the core application or the mobile application, feel free to visit our website and contact us. Last week we shared two of the interviews we recently filmed where we asked our customers what they thought of our products and services. There are so many of these, but we wanted to share two more with you. We are so thankful for the over 1,200 customers and hundreds of thousands of users that make Maintenance Connection who we are! Maintenance Connection is a CMMS / EAM product that helps thousands of sites manage their Work Orders, Preventive Maintenance, Inventory and most MRO activities.